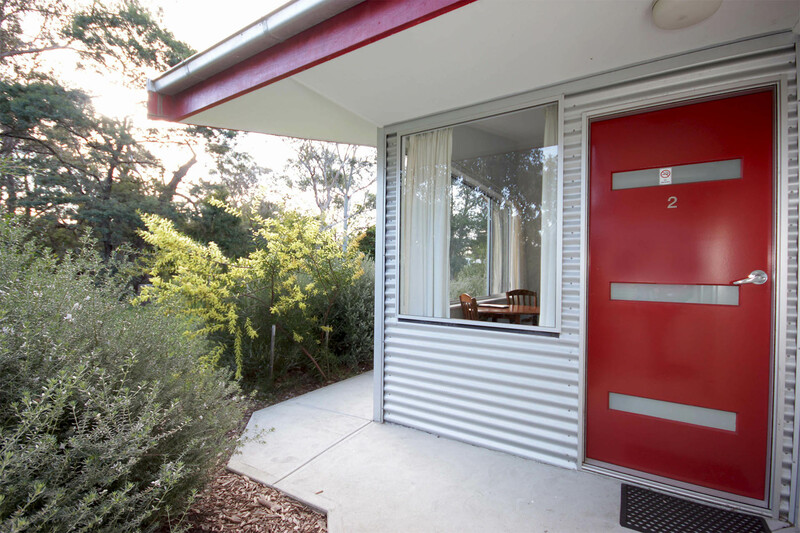 An ideal venue for corporate retreats, community gatherings or family holidays. 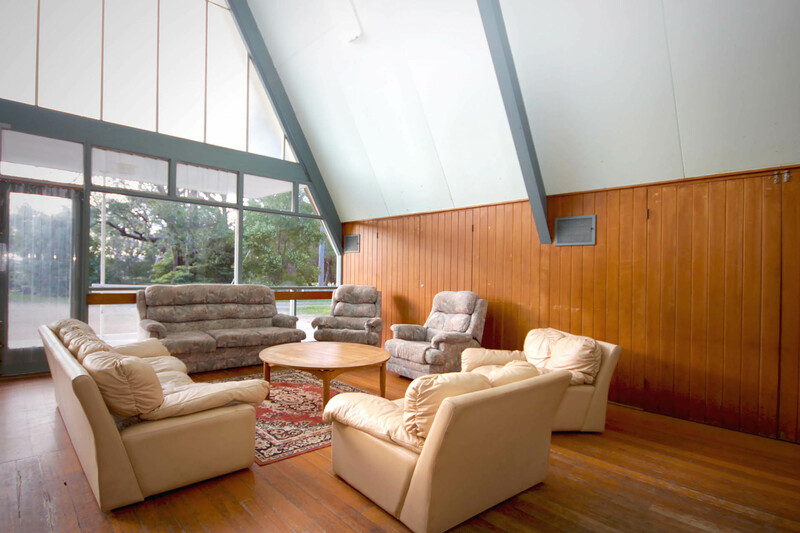 The Abbey has options ranging from self-contained units and cottage to dormitory-style accommodation and conference facilities. Please contact us to make a booking or further information about the accommodation available at The Abbey. 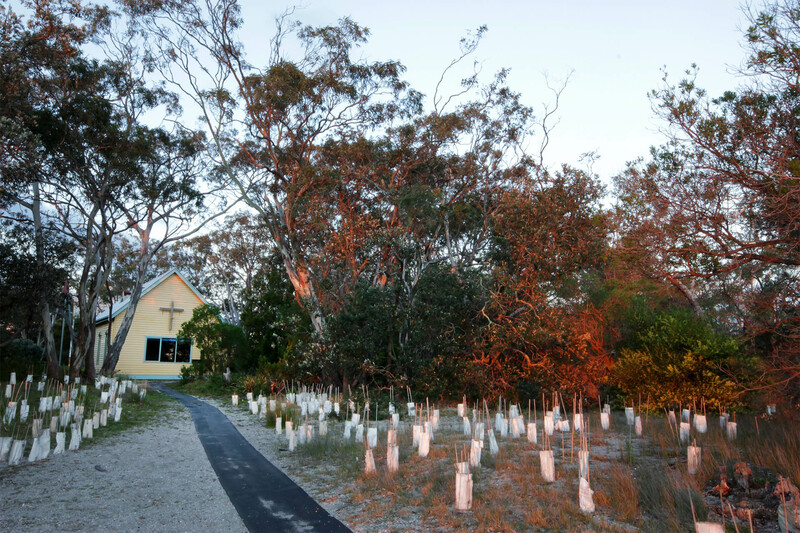 The Abbey is a part of the Australian Tourism Accreditation Program. This means that when you book your accommodation at The Abbey you are assured of a reliable, consistent and quality tourism experience. 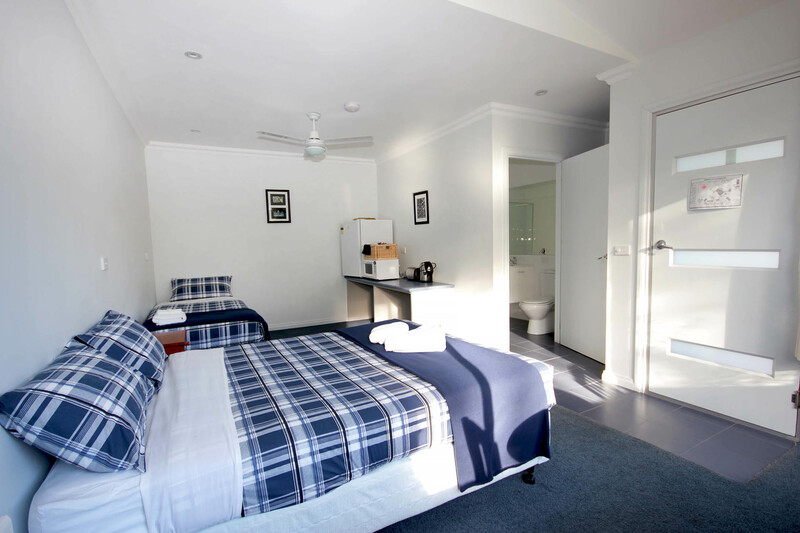 Ideal for small families or large groups, the Units are clean and well appointed and the perfect base from which to explore all Raymond Island has to offer. 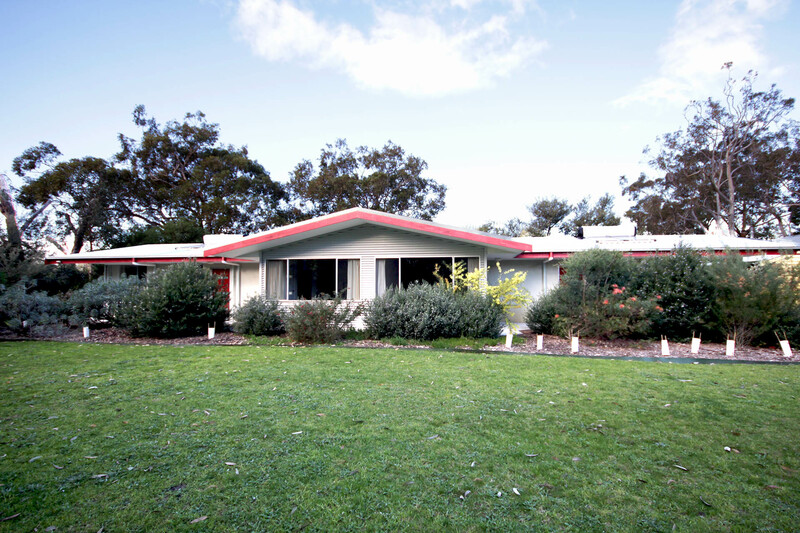 Eight self-contained units are available for individual or group hire for short or extended stays at The Abbey Conference and Accommodation Centre, Raymond Island. 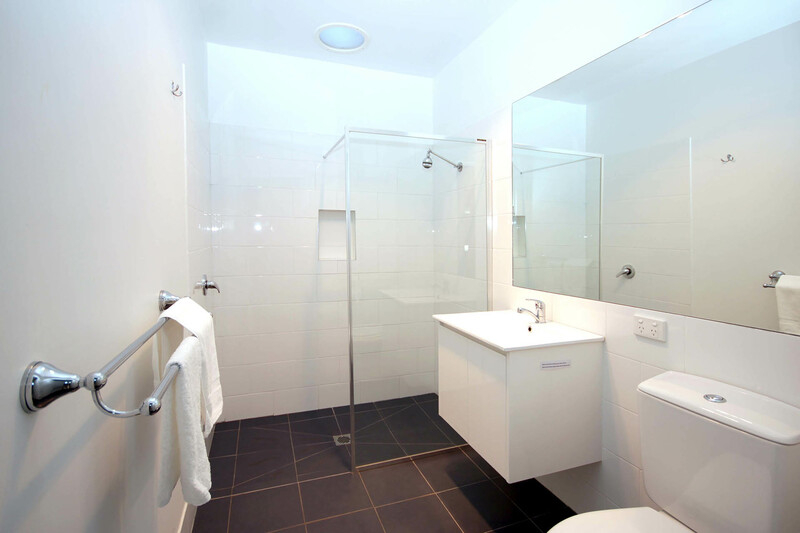 Units 7 and 8 are wheelchair accessible with appropriate modifications to the bathroom and toilet. For larger families or two families holidaying together, the three bedroom, self-contained cottage is the ideal home base while living the island life. 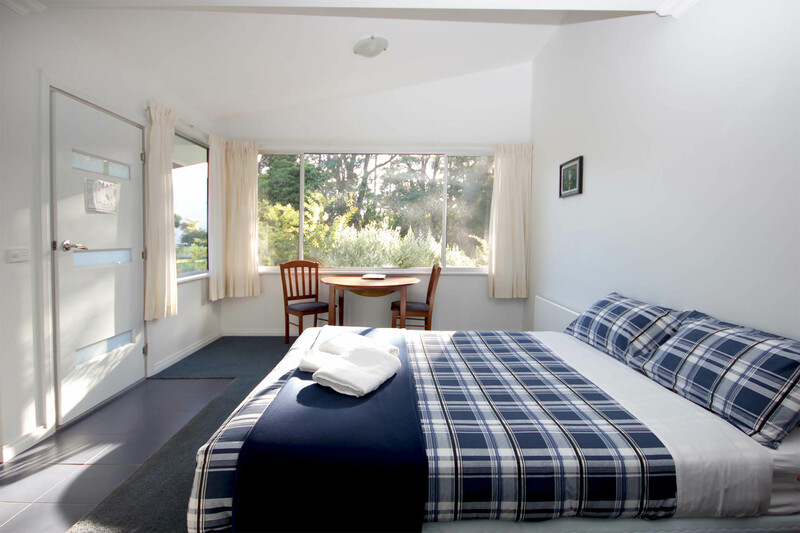 Sleeping seven, each bedroom contains one double bed with an extra single in the third bedroom. 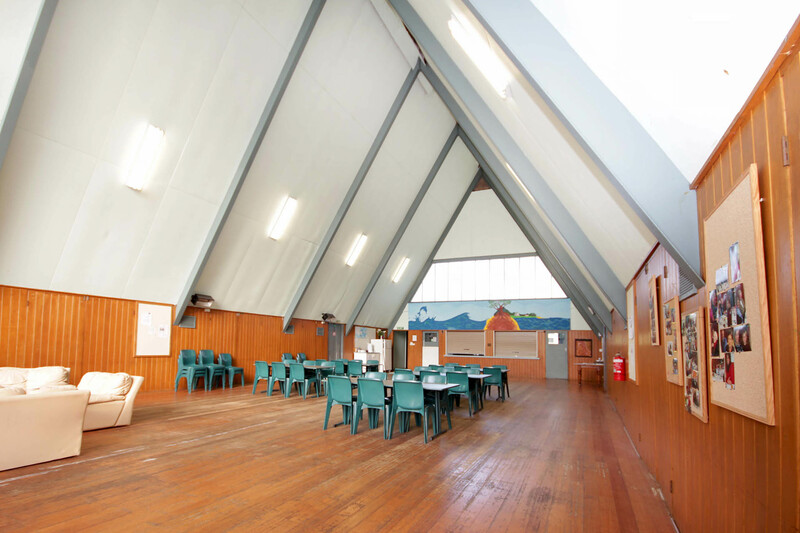 The Abbey has hosted many conferences, training events, camps and events over the years. Guests are welcome to make use of the on site conference facilities during their stay, or you may prefer to book one of our facilities for your next private function. 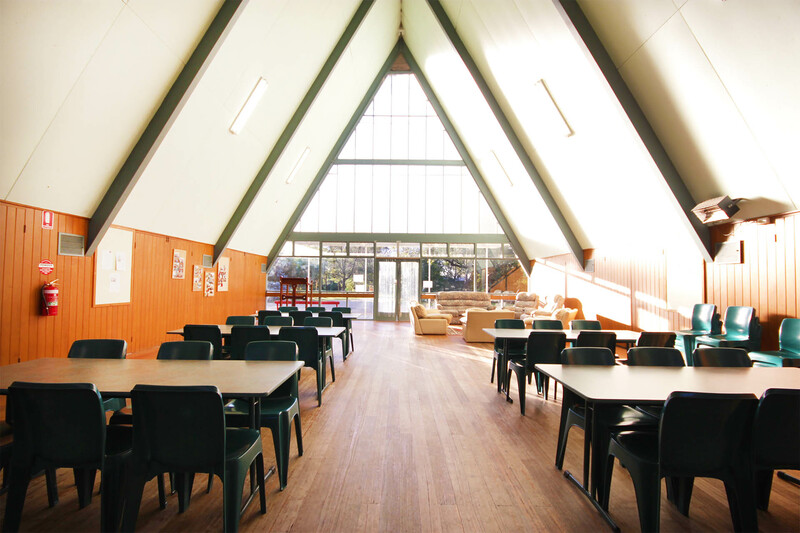 The distinctive A-Frame is The Abbey Conference and Accommodation Centre’s hub and main dining room, equipped to cater for up to 80 people. 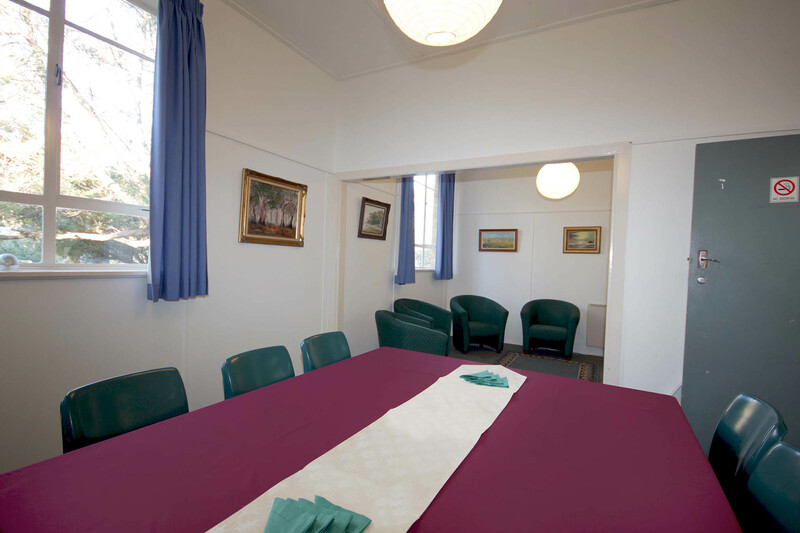 A smaller dining room, catering to 24 people, is also available for use. Guests of The Abbey wishing to utilise the A-Frame for communal dining are also welcome to use the fully functional, commercial kitchen. Alternatively you may prefer to call upon The Abbey caterer who is able to assist with all your catering needs. 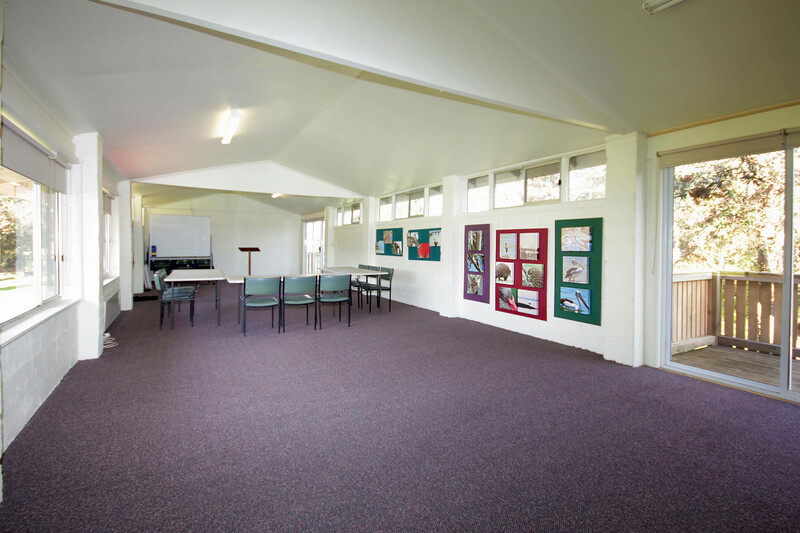 Illawarra Conference Room is a multipurpose meeting room, catering for a maximum of 40 people seated at tables with toilet facilities and a small kitchen. 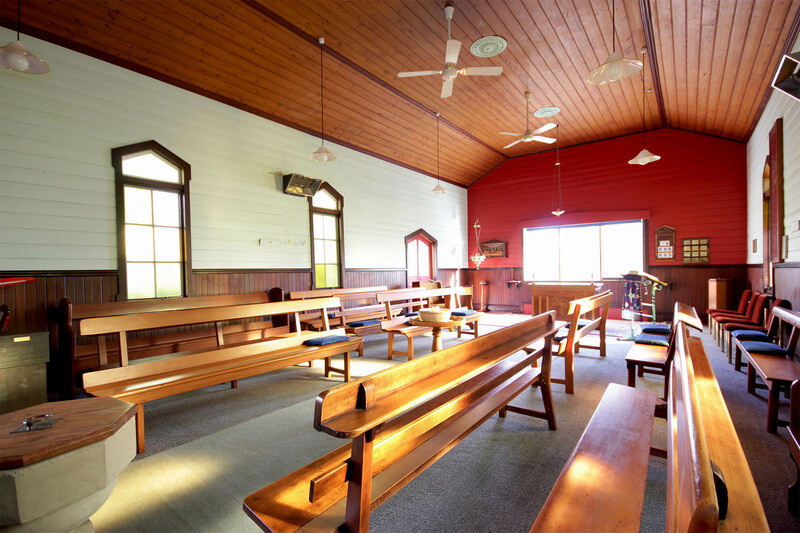 St Barnabas Chapel is available to the wider Abbey community for funerals, weddings and other community-based events of worship or celebration. 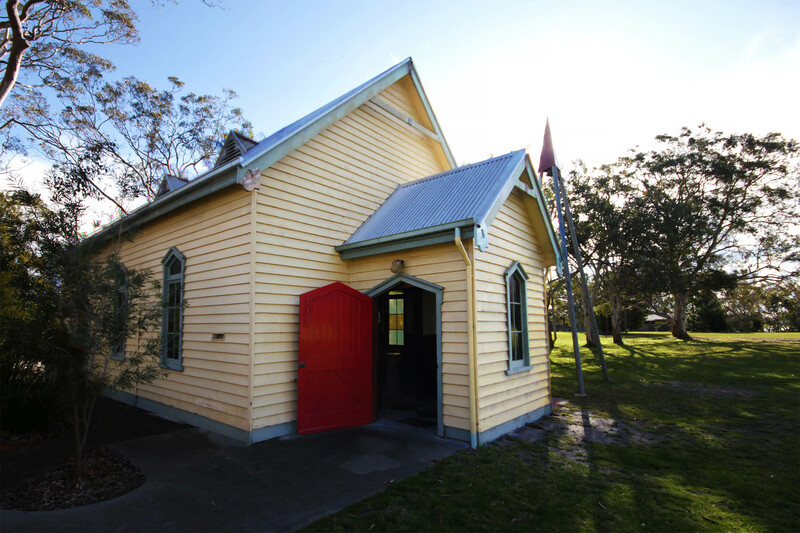 The beautiful 106 year-old, heritage weatherboard Chapel at The Abbey began its life on the mainland as the Church of St Barnabas at Bundalaguah, near Maffra in Gippsland. 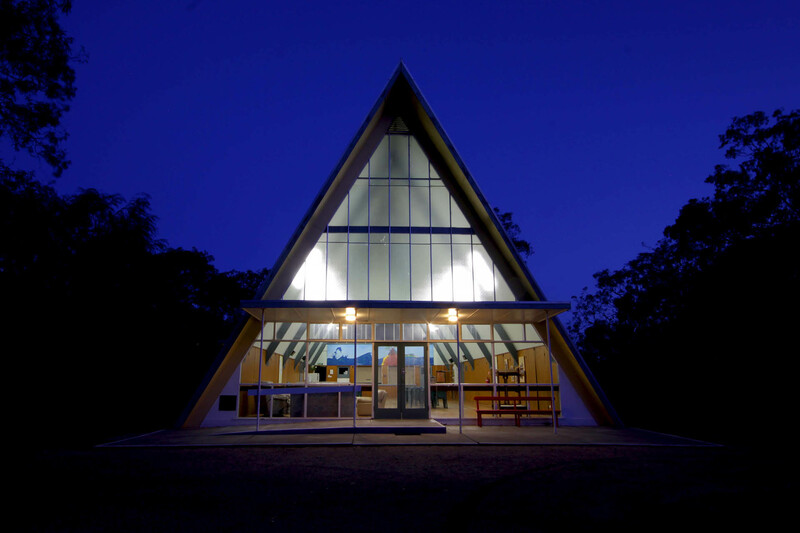 On 21 March 1990 the church structure was brought, in two halves, across on the Raymond Island Ferry. The Chapel now at home at The Abbey, overlooks Lake Victoria and is appreciated by the many people who visit The Abbey. The Abbey Chapel is available for reflection and meditation. The Abbey Priest can be contacted for weddings, funerals and other events. Pricing is available upon enquiry.